Remembered as the “Great War Governor” who led the state of Indiana during the Civil War, Oliver P. Morton has always been a controversial figure. His supporters praised him as a statesman who helped Abraham Lincoln save the Union, while his critics blasted him as a ruthless tyrant who abused the power of his office. Many of his contemporaries and some historians saw him as a partisan politician and an opportunist who shifted his positions to maintain power. Later generations treated Governor Morton as either a hero or a villain and generally forgot about his postwar career as a Radical Republican leader in the U.S. Senate. In this first full biography of Morton to be published in over a century, A. James Fuller offers a groundbreaking new interpretation of Indiana’s most significant political leader in the nineteenth century. Overturning traditional views, Fuller argues that Morton’s nationalist ideology motivated him throughout his career and that the Hoosier leader held consistently to the ideas of freedom, Union, power, and party. Those core principles drove Morton’s politics and actions, including his support for Indiana soldiers, his fight against the Democrats in the state legislature, and his twenty-two months of one-man rule, a period in which his opponents accused him of being a virtual dictator. His principles also framed his struggle against the disloyal Copperheads who tried to assassinate him and whose leaders he helped bring to justice in the Indianapolis Treason Trials. 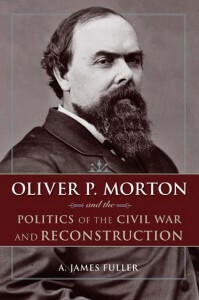 Fuller also restores the historical significance of Morton’s long neglected career as a Reconstruction senator. Seeing Reconstruction as a continuation of the Civil War, Morton became a leading Radical Republican who championed racial equality. He continually waved the bloody shirt, reminding voters that the Democrats had caused the rebellion. Morton supported the civil rights of African Americans and fought against the Democrats and the Ku Klux Klan. He enjoyed widespread support for the presidency in 1876, but when his bid for the Republican nomination came up short, he helped decide the disputed election for Rutherford B. Hayes. When Morton died in 1877, Reconstruction died with him, symbolically marking the end of an era. In the decades after his death, Hoosiers built monuments to Morton, remembering him in ways that reflected their own times, keeping his controversial legacy alive in historical memory. 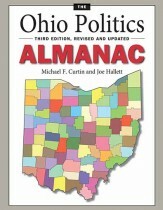 Author A. James Fuller is professor of history at the University of Indianapolis. Primarily a historical biographer, he is a scholar of 19th-century America and the Civil War era. Among his publications are Chaplain to the Confederacy: Basil Manly and Baptist Life in the Old South (2000) and The Election of 1860 Reconsidered (The Kent State University Press, 2013).